The economy is showing starting to show signs that a good surprise might be under way. The manufacturer purchasing managers index rose slightly from February, remaining strong compared to its history. Of course, only about 14% of the U.S. economy is tied to manufacturing. The much more important non-manufacturing purchasing managers index dipped to 56.1 in March from 59.7 in February. But it’s coming off an extraordinary period and remains strong compared to its history. 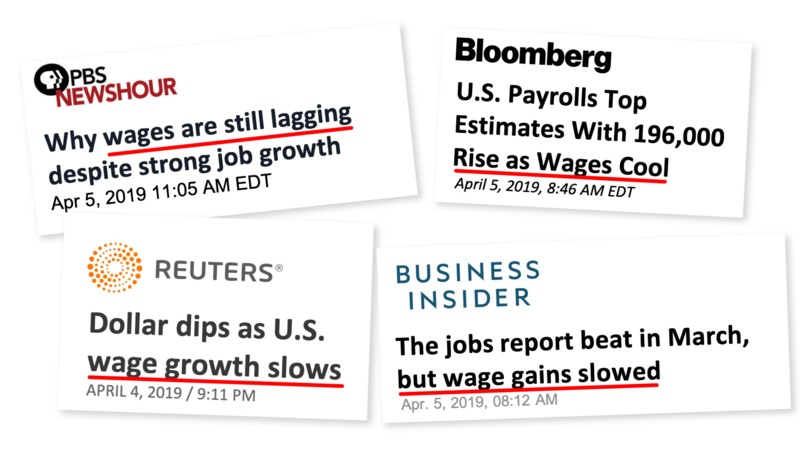 The economy created 196,000 new jobs in March, confirming that February’s plunge in job formation was just a quirk; unemployment remained at a historic low — and this is really important! Expansion of the labor force plus accelerating growth in average hourly earnings paints this very favorable picture for driving growth in consumer spending power — the key to unlocking America’s growth.